Google cutting-edge phones run on Google's own Android operating system and get updates first! Although Google doesn’t technically make its own phones it does make Android, which is by far the most popular mobile operating system in the world. And it puts its branding on a range of phones which it outsources to other companies. That started with the Nexus range, which began in 2010 with the HTC-made Nexus One, and ran until 2015, with the Huawei-built Nexus 6P. For 2016 Google unveiled a new range of flagship phones known as the Pixel and Pixel XL. Google’s phones are brilliant primarily because they run stock Android – that means there’s no extra overlays or unnecessary apps added. Instead you get Android as it’s meant to be, meaning a slick, thoughtful interface that you can modify as much as you want. They also benefit from day-one Android updates, where most phones have to wait months – if they get updated at all. Beyond that, Google’s handsets tend to be powerful, and packed full of features, particularly in recent years, so they can easily stand up to any other flagship around. And they’re usually available in two sizes, so whether you like a big screen or a more normal one there’ll be a Google handset for you each year. 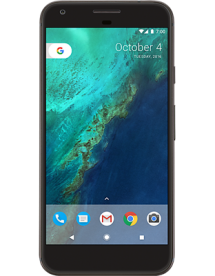 The Google Pixel and Google Pixel XL are the company’s latest phones and the first of the Pixel line. These are tremendously powerful handsets, particularly the XL, which has a QHD screen and a Snapdragon 821 chipset. They also benefit from Google Assistant, which is an even more powerful version of the Google Now AI.